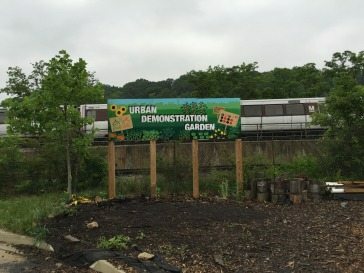 On June 4th 2015, YRCI helped sponsor and contribute an Urban Demonstration Garden with the Capital Area Food Bank at their headquarters on Puerto Rico Avenue in Washington, D.C. YRCI has been a platinum sponsor for CAFB for over a decade. The purpose of this demonstration garden was to inform the community about those struggling with hunger and help educate about nutrition through organic gardening. With the garden, CAFB, alongside Citizen HKS and Clark Construction, will create an “Urban Food Studio”. The studio will designate as a place for cooking classes near the garden and further education about nutrition through a hands-on experience. The studio classroom will also serve as an all-season learning space. Nancy E. Roman, President and CEO of Capital Area Food Bank gave special recognition and thanks to John Jaeger, Chairman of YRCI, stating that John had “contributed the seed money for the build out”. She also noted his generous monetary contributions to the Food Bank throughout the years. For more information on the Capital Area Food Bank or if you would like to donate, look here. 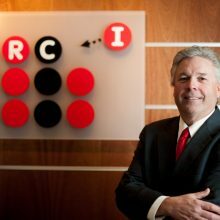 John Jaeger founded YRCI in 2001 and now holds the Chairman title. YRCI is a professional services firm providing Human Capital, Acquisition Support, and Financial Management Services to government and commercial customers nationwide.